This morning we received a simple inquiry from a potential (Water Test Kit Store on) Amazon customer who asked, "Does this kit test for particulate lead or just dissolved lead?" According to the manufacturer, "Our Watersafe® Lead Test Kit can detect dissolved lead at levels below the EPA Action Level of 15 parts per billion (ppb)." 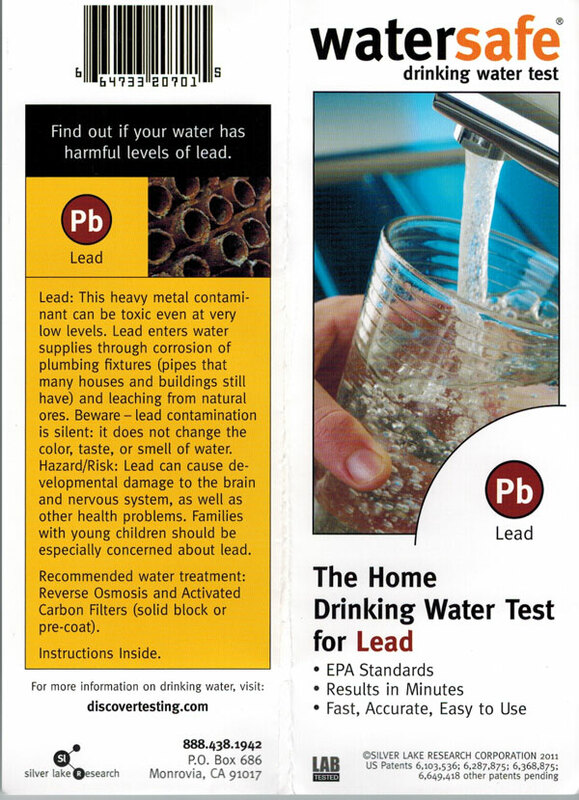 To test for what some call total lead, which would include particulate lead and free dissolved lead you would need to send a water sample to a laboratory where they would more than likely perform some sort of acid digestion to break down the all forms of the metal into a detectable state. Testing for metals in general? For most folks the first step in determining what, if any advanced metals testing needs to or should take place involves taking a look at a water sample to see if it contains metals at all. For that task the SenSafe Heavy Metals Check product works well since it detects a wide range of metals and gives a total metal concentration as its result. SenSafe Heavy Metals Check will not tell you what metal(s) it detects or give individual metal concentrations, but rather it adds any observed concentrations together into a single value. If that value seems 'high', then you may want to consider testing for metals of particular interest due to their potentially hazardous nature if consumed in drinking water. Those metals may include (but are in no way limited to) lead, mercury, chromium and/or arsenic. Other metals such as copper, zinc, iron, manganese may pose health hazards in really high concentrations, but typically water supplies will not contain levels that high without man-made influence(s). Metals like these can, however, cause aesthetic problems at lower concentrations and some may cause damage to plumbing in the form metallic deposits that restrict water flow. Science projects encourage children to think more about the world around them help them gain a better understanding of how parts of the world work... so why not let them learn about the wonderful world of water quality this year? The WaterSafe Science Project Water Test Kit makes learning about water quality fun and easy to accomplish by letting students measure and record 8 different water quality parameters for a total of 10 samples. The kit comes with an instructional CD that includes a printable fill-in table for recording test results in a neat, easy-to-present fashion. Q: Does the kit require special skills or equipment? A: No, it does not. 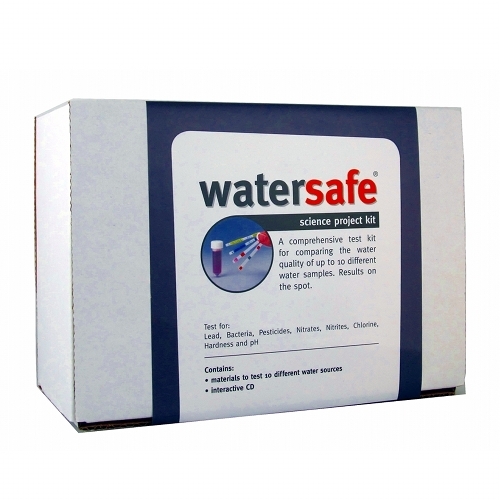 The WaterSafe Science Project Water Test Kit comes with all materials needed and each test has explicit, simple test procedures. Q: What water quality parameters does the kit test for? A: Lead, Bacteria, Pesticides, Nitrates, Nitrites, Chlorine, Hardness & pH levels. Q: Will my child need to wear special protective gear because of potentially harmful chemicals in the test kit? A: Absolutely not! The WaterSafe Science Project Water Test Kit was designed to use minimal chemicals and pose virtually no risk to those who use it. Q: Where will my child find 10 different sources of water to test? Tap water from kitchen sink immediately after turning the tap on vs. tap water from the kitchen sink a minute after turning the tap on. Tap water from kitchen sink (cold) vs. tap water from kitchen sink (hot, but allowed to cool). Rain water collected in a glass container vs. rain water collected in an old, possibly rusty, metal container. Rain water from a puddle on the lawn vs. rain water from a puddle on concrete/asphalt. Water from the tap vs. water from a chlorinated swimming pool. Pond water, lake water, stream water, river water, creek water, etc. Samples of water with coins, rocks, wood, leaves or other ‘stuff’ left in them for varying amounts of time. Samples of water with tiny and varying increments of household items (i.e. baking soda, black pepper, vinegar, lime juice, lemon juice, etc. Important: additives must not change the color of the water or colorimetric test strips will not work properly) added. Swimming pool water right out of the pool vs. pool water allowed to sit exposed to the environment for varying amounts of time. Municipal tap water right out of the tap vs. municipal tap water allowed to sit exposed to the environment for varying amounts of time. Rain water vs. melted snow. Different types of bottled water. Distilled water vs. tap water vs. reverse osmosis water vs. spring water vs. boiled water (after it cools). Q: If we want to test samples for certain parameters more than the test kit includes, can we purchase those tests separately? A: Yes. 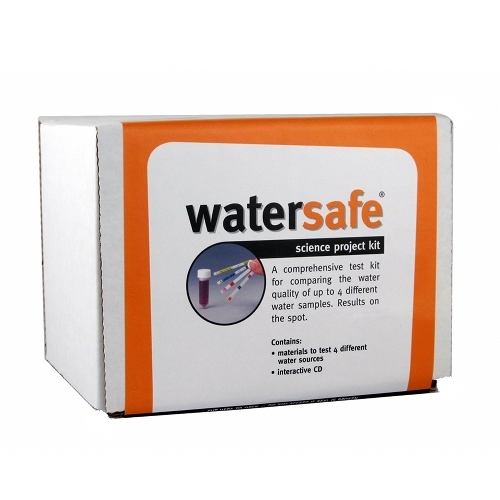 Water Test Kit Store has all of the tests included in the WaterSafe Science Project Water Test Kit available for purchase in larger quantities. ‘Tis the season for savings, or at least that’s what all the email blasts and flyers in the mail keep telling us, so why not save money on water testing products, too! Visit WaterTestKitStore.Com between now and 12/31/2014 and use discount code XMAS2014 to save 10% on every water test kit and water test strip! WaterTestKitStore.Com carries popular name brand water testing products like WaterSafe, SenSafe, Pool Check, and WaterWorks and boasts standard order turnaround times of 1 to 2 business days. This means you can have the water testing products you know and trust en route to your office or job site in no time! What makes these products better? Reliability – The products we carry yield repeatable results. Ranges – The products we carry offer higher and/or lower detection levels as well as more color blocks between end point detection levels than competitive products on the market. Accuracy – Several of the products we carry meet or exceed standards established by recognized governing bodies in the water testing world. Examples: SenSafe Free Chlorine Water Check and SenSafe Total Chlorine Water Check. Affordability – The products we carry allow average homeowners as well as water industry professionals to test for a wide range of critical water parameters quickly and easily for very low costs per test. Portability – Water test strips eliminate the need for bulky test equipment, difficult to mix and/or easy-to-spill reagents and cumbersome test procedures… making them ideal for field testing. 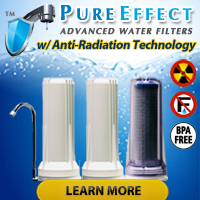 Additionally, all of the water testing products offered on WaterTestKitStore.Com are manufactured here in the United States and the companies responsible for their production have excellent reputations in the water testing products market. Remember to visit WaterTestKitStore.Com between now and 12/31/2014 and use discount code XMAS2014 to save 10% on your order! Regardless of where you live, take 10% off your entire water test kit order with discount code TURKEY2014 from now until the end of the month (November 2014). 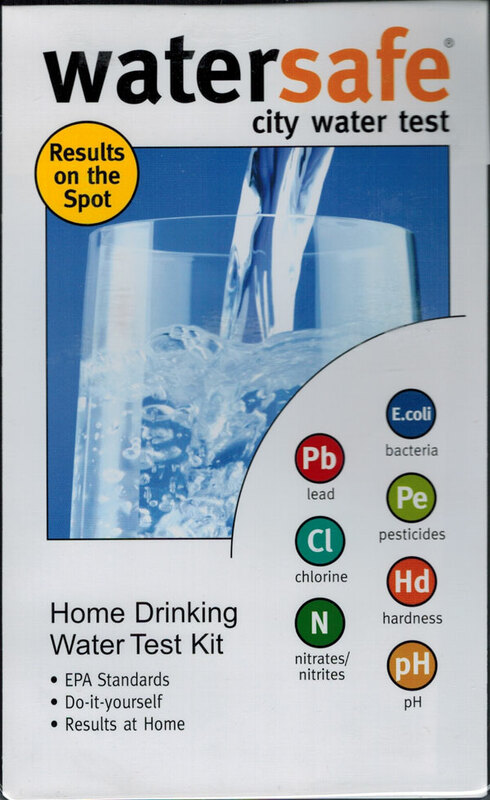 The Water Test Kit Store offers free shipping in the Continental United states for all orders of $75 or more…. all year long! 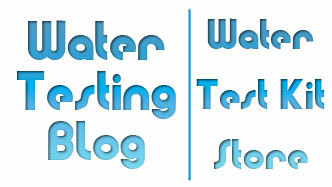 The Water Test Kit Store is giving away a free WaterSafe Science Fair Project Test Kit. No purchase necessary to win! Click the Image to Access the Contest Entry Page! The WaterSafe Science Project maximizes a student’s (or team of students’) scientific discovery by letting them test up to 4 different water samples for Lead, Bacteria, Pesticides, Nitrates, Nitrites, Chlorine, Hardness, and pH levels.